We are committed to protecting and enhancing our urban tree canopy, as trees are an essential part of our community and environment. As a part of this commitment, the town inspects all trees of concern and reviews all options for preservation. Tree removal is a last resort when managing our tree canopy. The Town of Newmarket has marked Ash trees for removal with a pink circle. Most recently in the William Dunn Cresent and Conventry Hill Trail area woodlot. The debris will remain in the woodlot to naturally break down and monitored for two years. At which time new trees may be planted if natural rejuvenation is not taking place. 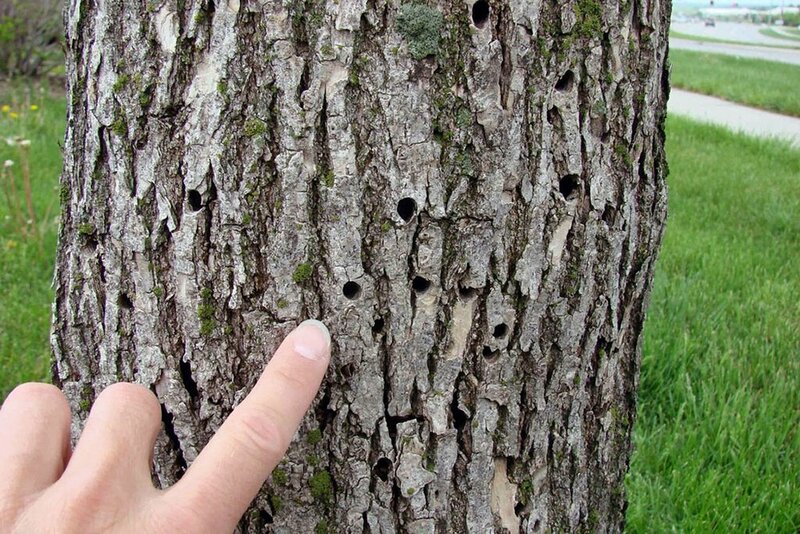 Sadly ash trees all over our town need to be removed due to the Emerald Ash Borer (EAB) a metallic green wood-boring beetle of about 1 to 1.5 cm in length that attacks all native species of ash trees, typically killing them in two to three years. To learn more about the Emerald Ash Borer and what we are doing to manage the effects of EAB visit http://www.newmarket.ca/eab.